In case you couldn’t tell, we really like food around here. We all have foods we love to make for various Holidays, so we gathered some of our favorites for Christmas time. First, place 1/2 cup butter in a 9×13 heavy glass baking dish. Set baking dish (with butter) in the oven and preheat to 400 degrees. 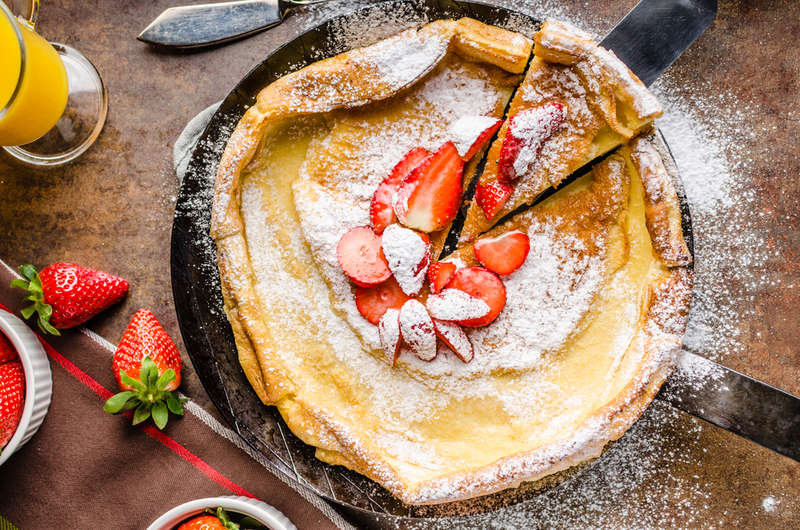 In a blender, combine milk, eggs, vanilla, flour, and granulated sugar. When the butter is completely melted (before it browns or burns, though! ), pour the batter over a metal spoon into the baking dish. Cook 20-30 minutes or until the pancake is set in the middle and the edges are very puffy and golden brown. Remove from oven. Squeeze the juice of one lemon over the top and dust generously with powdered sugar. This is one your kids are sure to love! 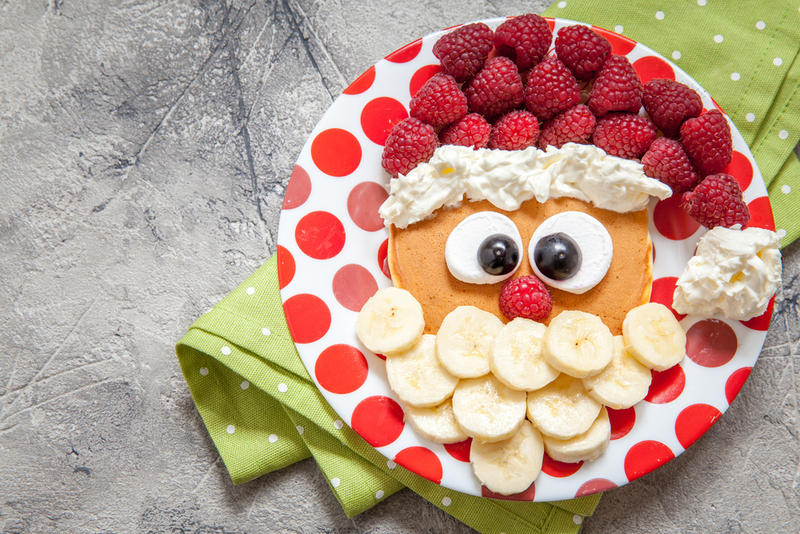 You can create Santa’s face by using a pancake (Sweet Cream Pancake Mix #7435), sliced bananas (#2835) for his beard and whipped cream and raspberries (#1219) for a hat and nose. A large marshmallow and a purple grape cut in half create Santa’s eyes. Another option for his eyes is more whipped cream and a blueberry (#1218). Other fun pancake faces could be Santa’s Reindeer, Snowmen, or a Penguin. Our Beehive Rolls (#8925) are a favorite year-round, but they are the perfect touch for a Christmas dinner. 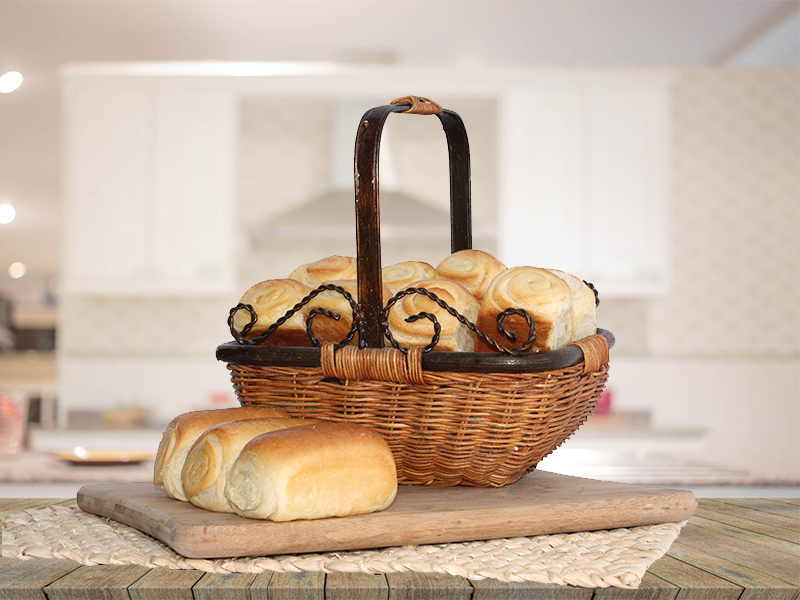 They are beautiful, fluffy rolls just like the ones your mom made for special family dinners, without the hassle of preparing them. The dough portions come frozen, and they are easy to make! Just thaw, proof and bake for heavenly homemade flavor. First, bring a medium pot of water to a boil. Once boiling, gently add eggs with a spoon. Turn down heat a little so the water is just gently boiling. 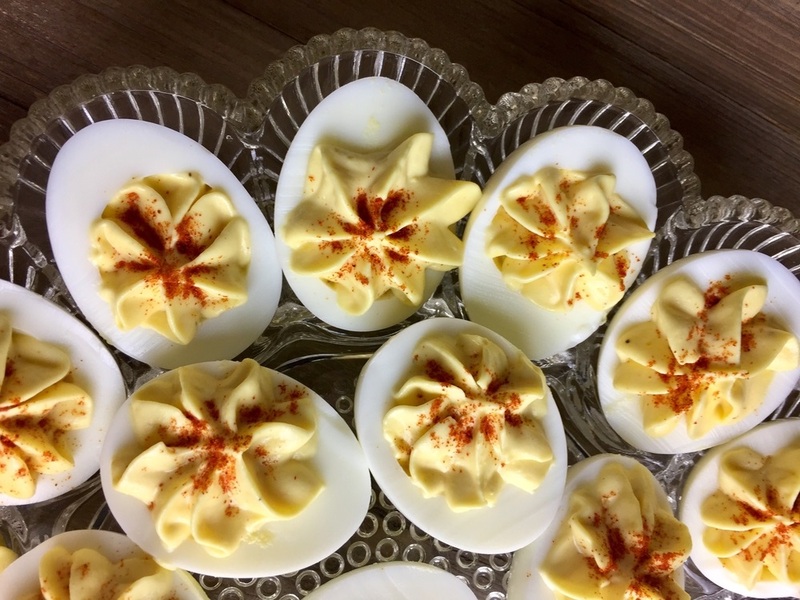 Boil eggs for 12 minutes then remove pot, carefully drain water, and add cold water and ice to the pot to cool down the eggs and stop the cooking process. Once the eggs are cooled, peel them, cut them in half and remove the yolks and add them to a bowl. Mash the egg yolks with a fork. 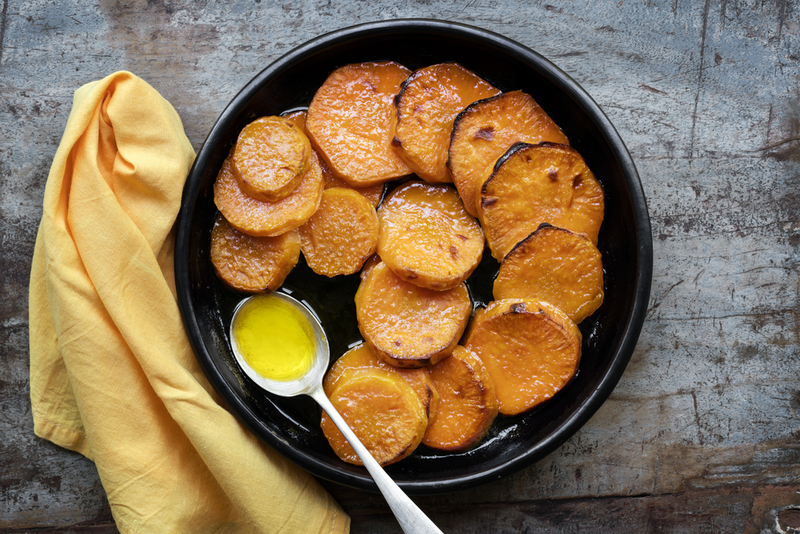 To the egg yolks add the mayonnaise, dried mustard, salt, pepper and vinegar and whisk until smooth. The mixture will be thick so you will have to tap the whisk on the side of the bowl several times as it will stick to the whisk. Pipe or spoon egg mixture into the eggs, sprinkle with paprika and top with chives. Cover eggs and refrigerate for several hours before serving. While butter is melting, in a small bowl combine French toast sugar, nutmeg, and salt. Next, add sliced potatoes to melted butter and turn to coat. Sprinkle sugar mixture over potatoes, stir to coat. Cover skillet, reduce heat to low. Stirring occasionally, Cook for 50-60 minutes (depending on how thick you sliced your potatoes), or until potatoes are tender.